The successful recovery of the endangered island fox is a positive story of people making a difference in the local environment. 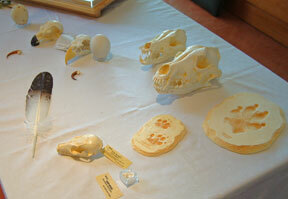 It is a story of interconnected species, cause and affect, scientific data, adaptations and genetic diversity. Spaces are limited and preregistration is required. NatureBridge is a nationally recognized leader, providing environmental education to 1 million K-12 youth and teachers since 1971. As a BONUS all participants will receive special discounts on future NatureBridge programs. 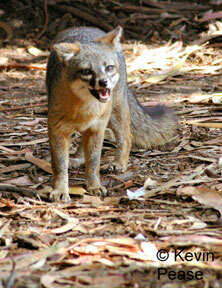 Join FIF on a trip to see island foxes in the wild. FIF Trip to Santa Cruz Island! That's right, this spring FIF educators are leading a day-long adventure to look for both the island fox AND the island scrub-jay. 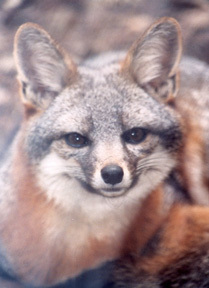 As the population of Santa Cruz Island foxes reaches recovery it is possible to observe them at more locations across the island. 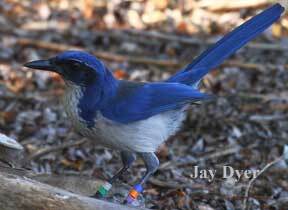 Santa Cruz is also the only home of the rare island scrub-jay. With its newly restored wetland area, Prisoner's Harbor is one of the prime locations to encounter this unique bird as well as many other species. Wetland on a dry island. 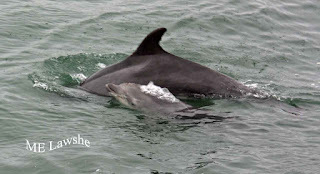 On the trip over to Prisoner's Harbor (about 1 and a half hours) there is the possibility of seeing many marine species as well. Tickets will be $65.00 per person. 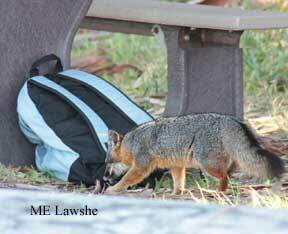 A percentage of the fee will go to support island fox recovery efforts. We will take the Island Packers boat from Ventura Harbor leaving at 8.00 AM and returning around 5 PM on Saturday April 6, 2013. Check in will be required at 7:15 AM. At the time of booking you will receive further details of the trip, including: where to meet, what to pack, the suggested clothing and other items of interest. Note the photo to the right. Food items will need to be secured at all times. 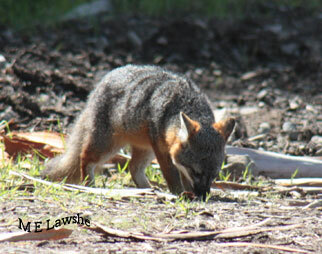 What to remember when visiting the island fox.